Our standard solid wood drawers are 5/8" thick sides fully assembled and ready to install. Dovetails are sanded smooth and finished after assembly. Two Options of 15mm (5/8" nominal) Baltic Birch plywood are available. 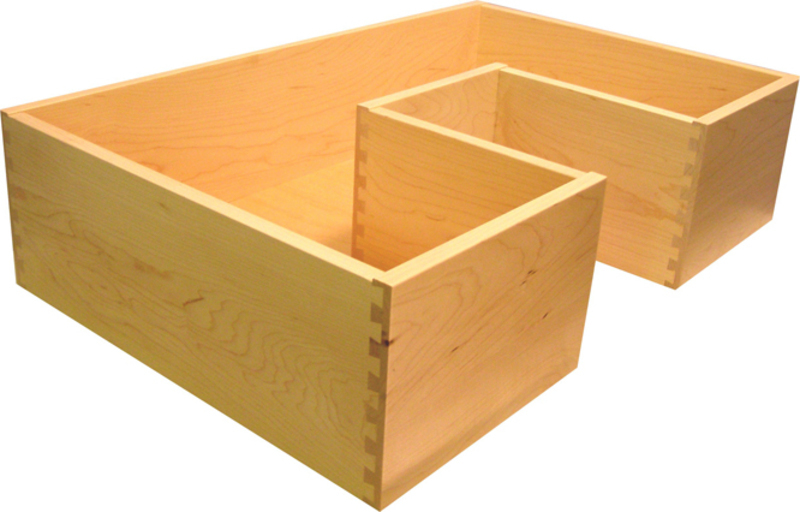 We offer three different styles of Melamine dovetailed drawer boxes that have flush top edges, with Industrial Pine Core that shows on dovetailed ends. 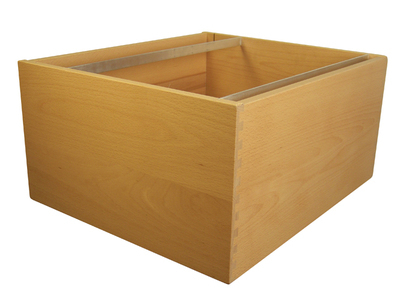 We offer file drawer options for both standard and legal size paper. Aligned with either front to back, or side to side 1" aluminum rails. Minimum drawer height is 101/4". Standard Integral divider drawers have dividers running front to back. Custom options are available, but sketch must me available with applicable dimensions. See examples. Lateral Integral divider drawers have dividers running left to right. Custom options are available, but sketch must me available with applicable dimensions. See examples. Standard adjustable divider drawers have adjustable dividers running front to back in the drawer. Each lateral adjustable divider drawers come standard with pre drilled holes (drilled 32mm on center), Adjustable pins, and amount of dividers selected. Any drawer height available. 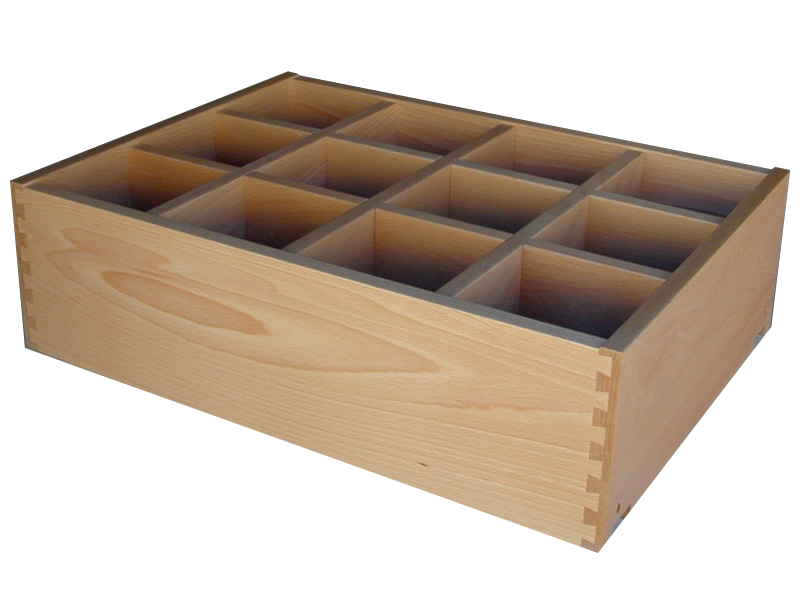 We have an array of specialty drawers sure to accommodate most any drawer box need Check these out and let us know if you have any questions.